Dr. Marcus Hoang, DDS has over 14 years of experience in the dental field. Coming from a family of dentists, Dr. Hoang began shadowing his father in high school. 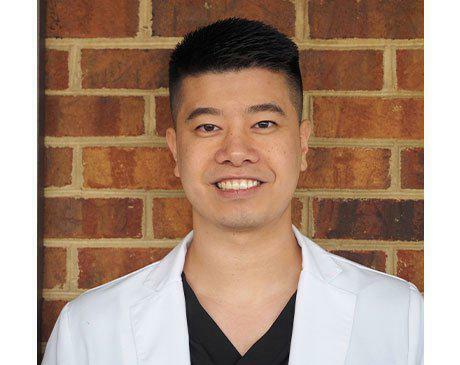 Dr. Hoang developed an immense passion for oral care at an early age and that passion has only grown as he pursued his career in dentistry. Dr. Hoang has a Bachelor of Science degree in Biology from James Madison University. He then went on to obtain his Doctor of Dental Surgery at New York University College of Dentistry. Determined to always improve and expand his skill set, Dr. Hoang went on to complete a fellowship with the International Dental Implant Association (IDIA). He is also a member of the American Dental Association (ADA). Dr. Hoang has a desire to provide oral health care for underserved areas. He has provided pro bono dental care by placing numerous implants as well as performing many periodontal surgeries for patients in Santo Domingo, DR.
Dr. Hoang is married to a dental hygienist and has a new addition to his family, a baby boy. He enjoys spending time with his family and has a passion for sports.